This course is designed to support any practitioner working with children aged between 0 and 3 years and their families, to develop an awareness of speech, language and communication and the features that help to identify whether a child has SLCN. •understand the importance of working in partnership with parents of children with speech, language and communication needs. Elklan have developed a highly successful accredited ten week course (or 3 day-intensive) for under 5s practitioners. The package has been received enthusiastically by over 7,000 learners across the UK and Europe. Teaching from qualified speech and language therapists and advisory teachers. They provide training to support the communication of all children but especially those with speech and language difficulties in under 5s settings. The book Early Language Builders which forms the core reading material for the course. It is full of practical advice and ideas. Opportunities to meet other Under 5's practitioners and receive mutual support. This course trains Early Years practitioners working within Education, Playgroups, Sure Start projects, Day Nurseries and other Early Years settings. The course is usually taught at weekends, but can be taught it staff training days. 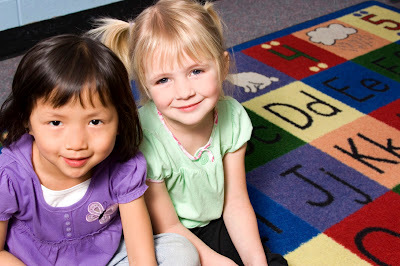 If you work in an early childhood setting, Teacher Talk can provide you with core strategies from the Learning Language and Loving It Program for Early Childhood Educators to help you create rich and stimulating language-learning environments for the young children you work with. This training will show you how to use everyday conversations, play and daily routines to promote the communication and social development of all children, including those with language delays and those who are second language learners. This training will discuss the important links between oral language development and literacy, and provide you with practical strategies for paving the way for children to read and write. This training will show you how to provide a physical and social environment that encourages peer interaction and creates many opportunities or successful interactions with other children. Teacher Talk Trainers may offer the training series flexibly. Training A may be offered on its own, or in combination with Training B and/or C, and the trainings do not have to be held on consecutive days. However, because Training A is a prerequisite for both Trainings B and C, all Teacher Talk participants must attend Training A before attending the other training sessions.